There are some people I just don't like. Believe me, I have tried to like them but it's near impossible. Please tell me I am not the only one who feels this way. There are people you don't like, right?? I used to feel really guilty because God tells me to love EVERYBODY. Uuuhh, really God? Everybody?? 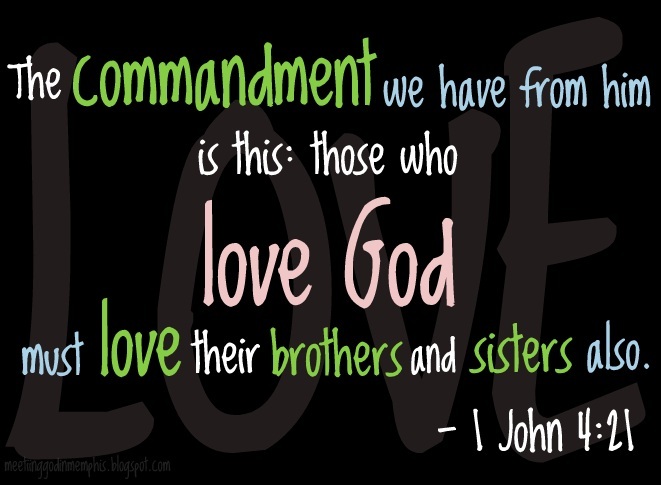 I began to think about His commandment to love my brothers and sisters. I prayed about it and asked Him to change my heart. What He changed was my thinking. I realized it is ok if I don't like everybody. What is not ok, is if I don't love them. You see, liking someone is a feeling. Loving the way God intends is an action. I may dislike someone, but I am to be kind, generous, and godly when I am around that person (or people). I may feel like being rude, but my actions must honor Jesus. Do you struggle with this too? Remember, God knows our hearts and our intentions. When we act upon a feeling we are forgetting the action He has called us to do....Love one another.